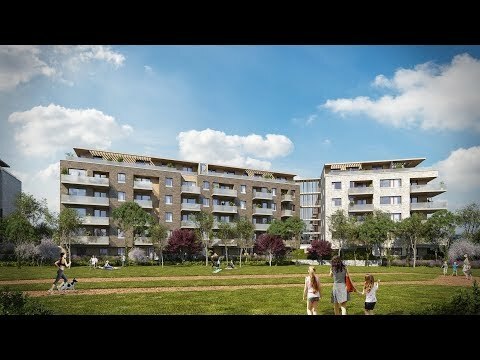 Set in a peaceful part of Zugló, Pest’s most sought-after suburban area, this development offers every advantage of the greenbelt, and all the benefits of the big city: a quiet and welcoming suburban environment just a short distance from the city centre! Located next to the charming Rákos-patak landscaped, tree-lined promenade, which has its own cycle line and running track offering recreational opportunities for active people. The family-friendly, leafy surroundings give the area a harmonious, suburban feel. Even in these greenbelt surroundings, there is no need to wave goodbye to the conveniences of city life: the residential park is located right next to a grocery store, bakery and pharmacy, and lies just a short distance from the Bosnyák Square Market, which offers a variety of stalls, as well as access to numerous other shops, banks, a post office and offices in the surrounding area. The Örs Vezér Square metro and suburban railway station is just 15 minutes’ away. Various sporting and recreational facilities are located adjacent to these modern, high-quality greenbelt homes: A sports centre is currently under development in the same block as the building, and has a running track, basketball court, football pitch and an outdoor adult fitness park. The Paskál Baths, renovated and expanded in 2016, are just a stone’s throw away, offering thermal water pools, a summer bathing area, a swimming pool open all year round and a variety of other wellness facilities, including treatment areas and various saunas, including a special geothermic sauna. H-1141 Budapest, Fischer István u. 119-121.